It is recommended that anyone with a hidden medical condition carries a form of identification detailing their condition and any medication they are on. This could be in the form of a card placed somewhere visible in your wallet/purse, or an identification bracelet, such as a MedicAlert bracelet. MedicAlert is the only registered charity that provides a life-saving identification system for people with hidden medical conditions and allergies. 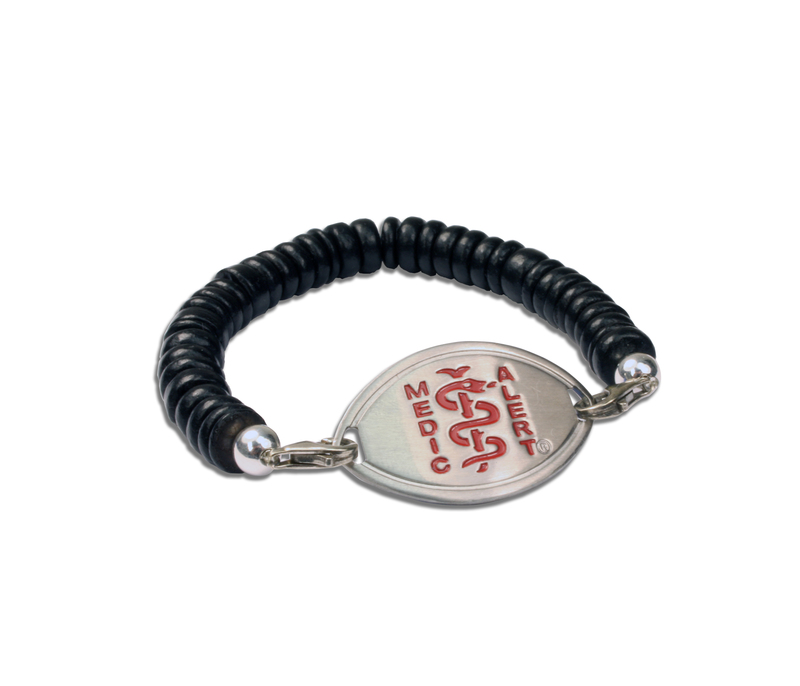 Each member receives an Emblem engraved with their main medical condition, vital details, a personal ID number and a 24 hour emergency telephone number allowing emergency or medical professionals to access their details from anywhere in the world. This 24 hour emergency service is housed within the London Ambulance Service, where trained staff relay your full MedicAlert emergency medical record to the first responder. Wearing Medic Alert identification means in an emergency, medical personnel have instant knowledge of your medical condition and with one phone call to the emergency number, access to your emergency medical record, along with information such as your name and address, doctors details or implant information after quoting your ID number and clearing security checks. This 24 hour emergency phone line has an annual charge of £30. Full details of the caller are taken, including the nature of the call and the response given. When joining MedicAlert or updating medical information, calls are dealt with by trained nurses, who take and assess all your medical information to ensure it is correct and then decide what information needs to be included on the embelm. MedicAlert has a wide selection of emblems to choose from, with prices starting at £19.95. For more information about MedicAlert please visit www.medicalert.org.uk. Read myheart member Cat Burns’ MedicAlert article here.